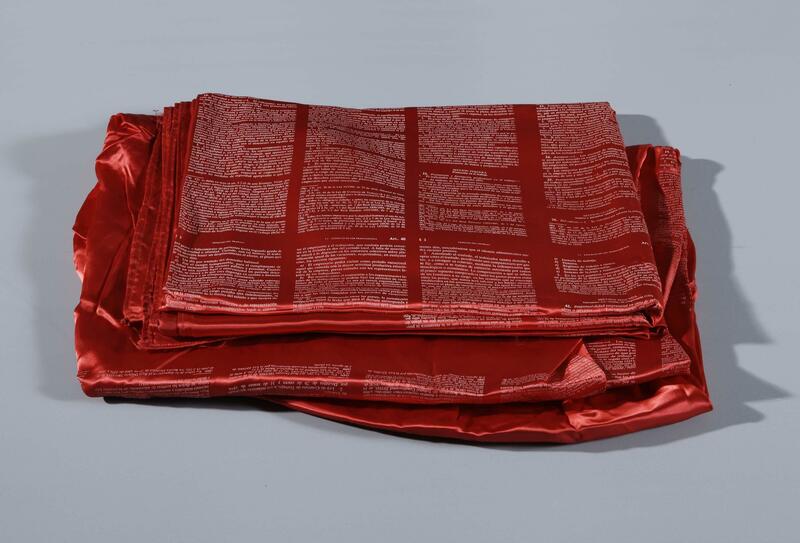 A series of sculptures made up of different objects and references to daily life, in this case satin sheets bearing a printed Spanish Workers’ Statute. These legal principles take on a decorative, ornamental role, while the title, Ornament and Law, alludes to Adolf Loos’s famous article “Ornament and Crime”, in which the architect traces the evolution of modern architecture through a critique of decorative arts. Juan Luis Moraza / Juan Luis Moraza. Moraza, Juan Luis ( 1960-)Madrid : Galeria Oliva Mara, 1.988.